While many of the game's big names have taken the opportunity to rest after last week's WGC event in China, the autumn provides great opportunities for those looking to reach those levels. There are FedEx Cup points, lots of money and qualification for The Masters to be played for over the next few weeks and this week's Shriners Hospitals for Children Open should be hotly contested as a result. It is a tournament where a hot putter can reap rewards on what is a straightforward par 71 layout and it has become a source of regular maiden victories in the last 15 years. 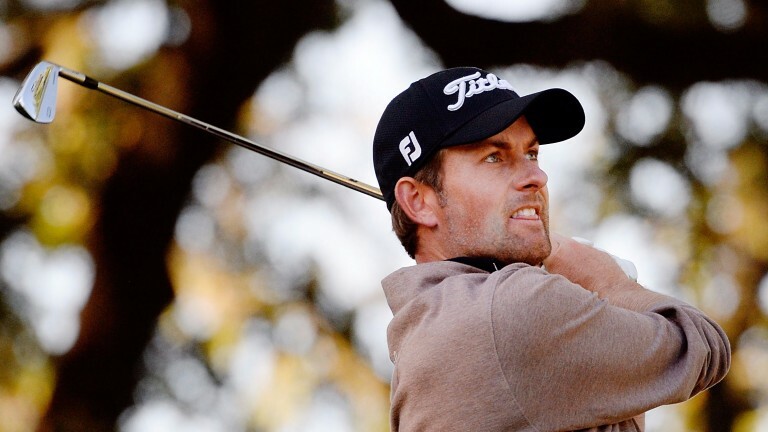 There will be plenty who will fancy the chance of a nice, hefty pre-Christmas cheque, a title and an invitation to Augusta and one person who should be confident about his chances is former US Open champion Webb Simpson. Summerlin is a place of fond memories for the former US Open champion, who won this tournament in 2013 by a six-shot margin and has claimed two other fourth-place finishes at the Las Vegas venue. But any worries he had that he would be unable to maintain his position as a tournament challenger when he was no longer allowed to anchor his putter have proved unfounded. It has taken a while to adjust but the 32-year-old from North Carolina may not be waiting much longer for his first victory since that success. He finished second in the Waste Management Open and has claimed top-20 finishes in five of his last six tournaments, often in fields that would be regarded as tougher than this one. Apart from his 75th at the Dell Technologies Championship, his worst finishes in the last four months have been 35th at the US Open, 37 at The Open and 33rd at the USPGA. The four-time US Tour winner is definitely moving in the right direction. Simpson has hovered around contending for several tournaments in the second half of the year and the same can be said of Kevin Streelman, who was second to Ben Martin in this tournament three years ago. The 38-year-old finished tenth in last week's Sanderson Farms Championship having finished 13th in the preceding Safeway Open and he has been a consistent performer, missing just one cut in his last 12 outings. As well as that runners-up spot to Ben Martin, he has posted three other top-20 finishes in this tournament and looks a big price to make another decent impression. It seems wise to keep faith with Chesson Hadley, who has been in red-hot form on both the Web.com and main tour. He finished second as he could not keep pace with Ryan Armour at the Sanderson last week and that followed his third spot at the Safeway Open. He gained four top-tens on the Web, including a victory in the Albertsons Boise Open, and it is notable that he is second in the early-season strokes-gained-tee-to-green rankings. Rod Pampling topped that particular stat when he claimed victory in this tournament last year and Hadley's fifth place in 2013 means the 30-year-old, who has moved up to 86th in the world rankings after being 448th at the end of last year, ticks a lot of boxes. Scot Martin Laird can have a big week too. He is back in the top 100 and has missed just one cut in this tournament in eight attempts, winning in 2009 and finishing second the following year. His 17th in the Safeway means his game is in good shape and he made three top-30 finishes after the FedEx Cup playoffs last season, so he can perform well in the autumn. Finau has two top-20 finishes in the Vegas tournament and could perform well if he copes with the demands of travelling back form China. The two-time Masters champion is making his first appearance in the tournament since 2007, but he has tumbled down the rankings after three top-ten finishes in his last 15 outings. The local resident was in red-hot form before the FedEx Cup playoffs, but has missed the cut in his last three attempts at the Shriners. The 25-year-old Californian has finished in the top 20 in each of his last five tournaments, including 15th spot in China last week. Making his course debut. Last week – WGC-HSBC Champions 1 J Rose (20-1), T2 H Stenson (25-1), T2 B Koepka (20-1), T2 D Johnson (9-1), T5 R Cabrera Bello (55-1), T5 P Uihlein (90-1), T5 K Stanley (100-1) Sanderson Farms Championship 1 R Armour (125-1), 2 C Hadley (20-1), 3 J Randolph (150-1), T4 S Kaufman (80-1), T4 B Stuard (200-1), 5 S Strohmeyer (300-1). Until 2004, it was a five-round affair which was called the Las Vegas Invitational and the Invensys Classic. Then, under the titles of the Michelin Championship (2004-05), the Frys.com Open (2006-07) and the Justin Timberlake Open (2008-12), it became a four-round, 72-hole event. Prior to 2008, other courses were used in tandem with Summerlin, but since then it has been staged exclusively at Summerlin. It is an easy course for professionals and always serves up a plethora of birdies, with 24, 24, 20, 16 and 20 under par the winning scores in the last five years. The three par-fives (the ninth, 13th and 16th) are straightforward and the 341-yard par-four 15th is driveable. The eighth, a 239-yard par-three, is by far the toughest hole. Story of last year Rod Pampling claimed his first success for eight years after shooting an opening 60 and then four birdies in his last six holes to overhaul third-round leader Lucas Glover and seal a two-shot victory. Type of player suited to challenge Anyone going to Summerlin with a cold putter will struggle to stay the pace. Every hole bar the eighth is a solid birdie chance and converting putts is key to success.